There are a growing number   of stories lately about music studios opening up to a new way of doing things, namely the total integration of performance and experience that I call co-production. Here’s another story from the Music Producer’s Institute and their upcoming session with Radney Foster. “Whether you are studying recording in school or on your own, let MPI show you the producer’s side of recording’s creative process, from start to finish: from pre-production to mastering. Founded by Grammy-winning producer Steve Fishell, MPI teaches you producing techniques that apply to all musical genres, from popular to fringe, indie to mainstream. “Hear and see a real-world, master-level recording session as we track with world-class singers, musicians and engineers. 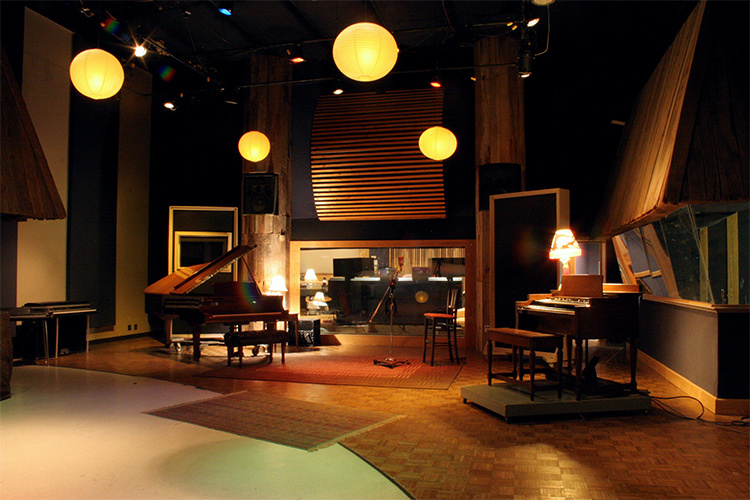 Gain first-hand experience watching Grammy-winning industry pros at work at the Sound Emporium Studios, Nashville, TN. Studio A offers a spacious 32’ x 45’ recording space with 20’ ceilings and two isolation booths. Our live room features a B-3 Organ with an isolated Leslie cabinet, a Yamaha C-7 grand piano, a Wurlitzer, and a Rhodes keyboard. The control room measures 20’ by 22’ and includes a forty-eight channel Neve VRP console with Flying Faders automation. Studio A also hosts a unique live reverb chamber with a 20’ foot high ceiling as well as an EMT reverb plate. The 1440 sq ft live room should provide generous space for the artists and the co-producers to share the same space without tripping over one another. The 440 sq ft control room should enable engineers and co-producers to really connect on the production approaches that work best with the source material. It is unknown whether Radney will permit multiple mixes of his work (after all, the best for one co-producer may not be best in the mind of another), but we’ll see. That would be the icing on the cake for me. But the most important aspect of this event is that it focuses on education, and that such education will add life and energy and passion to Rodney’s music and following. It is great to see the recording process and product going beyond the circular logic of a plastic CD sold by the unit at retail in a Music 2.0 world. Best of luck to all who are able to participate. I’d be there, but for a scheduling conflict I cannot resolve.